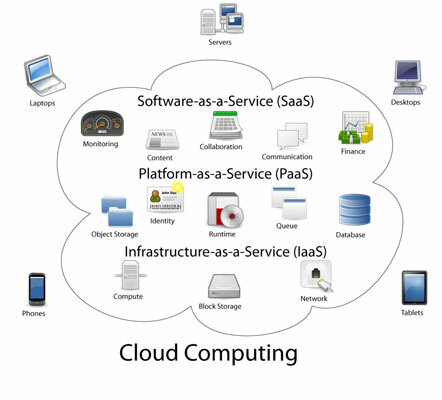 Cloud computing has developed along numerous paths. The surge of new technologies, social media innovations, and Web 2.0 altered the media landscape in 2009. Google and others soon focused their attention on browser-based enterprise class Software-as-a-Service (SaaS) product offerings, such as Google Apps and Microsoft Office 365. Today, not only are businesses able to use the services of specialized providers for massive computing, they also benefit from the lower cost of these services stemming from the efficiencies of shared infrastructure. After Salesforce pioneered the delivery of enterprise applications over the Internet in 1999, Amazon followed suit in 2002 by offering a suite of cloud-based storage, computation, and even human intelligence through the Amazon Mechanical Turk. In 2006, Amazon launched the Elastic Compute Cloud (EC2) as a commercial web service that offers small businesses and individuals computer capacity in the cloud. In addition to SaaS, cloud computing offers two other service models: Platform-as-a-Service (PaaS) and Infrastructure-as-a-Service (IaaS). In PaaS, users (mostly developers) are able to create new online applications in platforms provided by the PaaS provider. Google App Engine and Windows Azure are examples of a PaaS service model. In an IaaS service model, organizations have access to computing power and storage capacity, using a cloud provider’s hardware. This enables them to have control over the infrastructure and run applications in the cloud at a reduced cost. Amazon Web Services offer several IaaS cloud hosting products that can be purchased by the hour. Rackspace is another player in the IaaS market offering managed and cloud hosting services. The Microsoft offering in the IaaS service model is the use of remote desktops and virtual machines with Windows Azure.